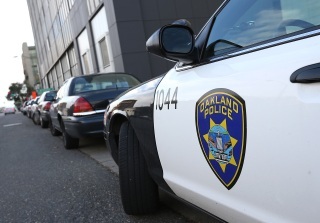 A highly decorated Oakland police officer has filed a lawsuit against top city and police officials alleging that they retaliated against him for suspecting that rookie Officer Brendan O'Brien killed his wife in 2014. Sgt. Mike Gantt, who has worked for the department since 1988 and has won more than a dozen awards, said in his suit that the retaliation began after he joined other officers in investigating the death of Irma Huerta-Lopez, who died of gunshot wounds at the home she shared with O'Brien in the 8000 block of Greenridge Drive in the Oakland hills on June 16, 2014. Oakland police ruled that Huerta-Lopez's death was a suicide. Oakland Mayor Libby Schaaf asked the Alameda County District Attorney's Office to conduct an independent review and last July 25, it backed up the Police Department's conclusion, saying that the police investigation was conducted "professionally and thoroughly." O'Brien killed himself at the couple's home on Sept. 25, 2015, and the district attorney said the police investigation concluding that his death was a suicide was also conducted properly. But the suit filed last week on Gantt's behalf by veteran Oakland attorney and one-time mayoral candidate Dan Siegel said his "review of the evidence at the scene and his interview with Officer O'Brien led him to reasonably conclude that the death of Ms. Huerta-Lopez was potentially a homicide and that Officer O'Brien should be viewed as a suspect in his wife's death." However, Gantt said former Sgt. Caesar Basa, who was his homicide unit partner and is now an inspector with the district attorney's office, interrupted him, spoke to former Lt. John Lois, who is now a deputy chief, and Lois removed him from the investigation. Siegel alleged that by removing Gantt from the probe, Lois "improperly interfered with the homicide investigation and retaliated against Sgt. Gantt for carrying out his lawful duty to carry out his investigation as the evidence warranted, including the possibility that Officer O'Brien had killed his wife." The suit says Gantt suspected O'Brien had killed his wife because O'Brien and his wife had been arguing shortly before the fatal shooting because he had been cheating on her. Gantt said former police Chief Sean Whent placed him on administrative leave last April as a result of a domestic dispute he had with his wife, but no one was injured in the incident and neither wished to seek charges against the other. The suit says the investigation into Gantt's domestic incident should have been concluded within 60 days but is still going on. "Gantt reasonably believes that the leave was imposed to discredit and silence him because he disclosed that O'Brien was a suspect in his wife's killing and because OPD feared that Gantt would disclose that OPD covered up the killing," the lawsuit states. The suit names the city of Oakland, Mayor Libby Schaaf, City Administrator Sabrina Landreth, Lois and 50 unnamed "John Does" as defendants. It seeks unspecified general and punitive damages. Gantt and Siegel made similar allegations in November when they held a news conference to announce the filing of a claim, a precursor to the lawsuit, against the city. Oakland City Attorney spokesman Alex Katz declined to comment on Gantt's suit, saying the city doesn't comment on pending litigation. According to the suit, among Gantt's awards are the "Top Cop" award from the National Association of Police Organizations in 2001, four medals of merit from the Oakland Police Department, the runner-up officer of the year award from the Oakland Police Officers Association and the Oakland Captain's Certification of Commendation.